Working on motorsport animation over the past year for Motorsport Network has been an incredible experience thus far. Starting as VFX Supervisor and now Creative Video Director, the target has been to build a small team of visual effects artists with a passion for all things automotive. 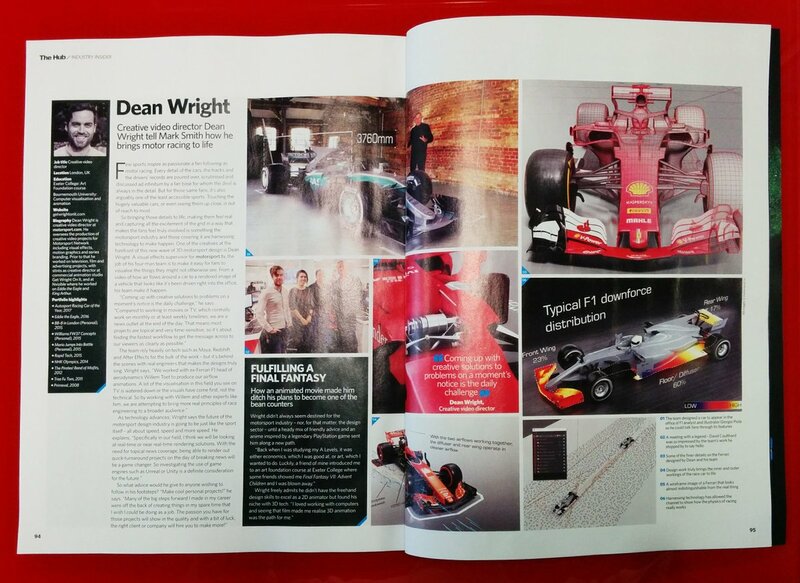 12 months in, this has culminated in an interview for 3D Artist Magazine. I’m very excited to share some snippets from the article. I’ve had the great pleasure of meeting some of my sporting heroes and visiting some famous racing events and locations. This includes vising the McLaren Technology Center and meeting Formula 1 racing driver Stoffel Vandorne. 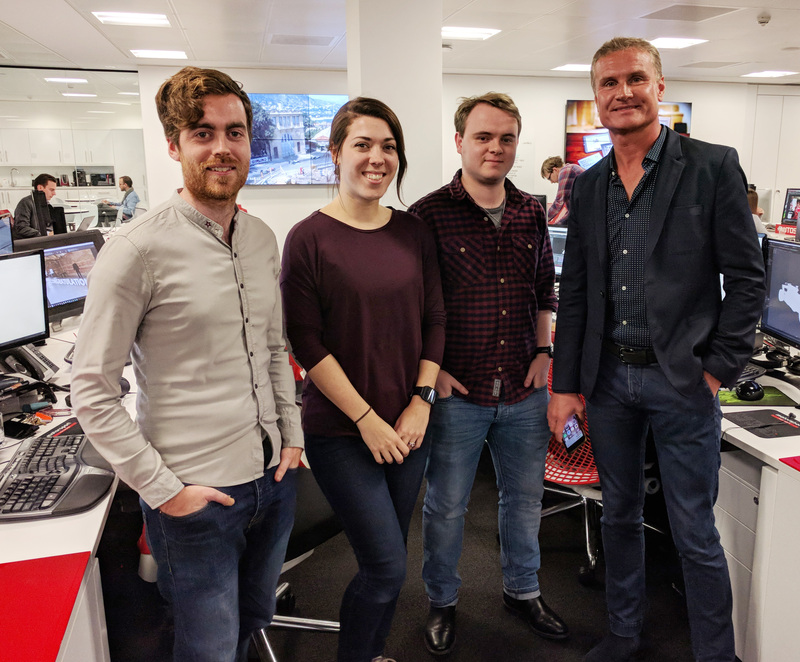 F1 Legend David Coulthard also visited the office and after seeing our work and asked to meet the team. We are all very proud someone with his F1 experience enjoyed our work! This year we have even bigger plans, working with some huge motorsport brands and sponsors. The aim is to produce realistic automotive animation, working with the best technical experts in the industry. Here is one of our videos looking at airflow in Formula 1.